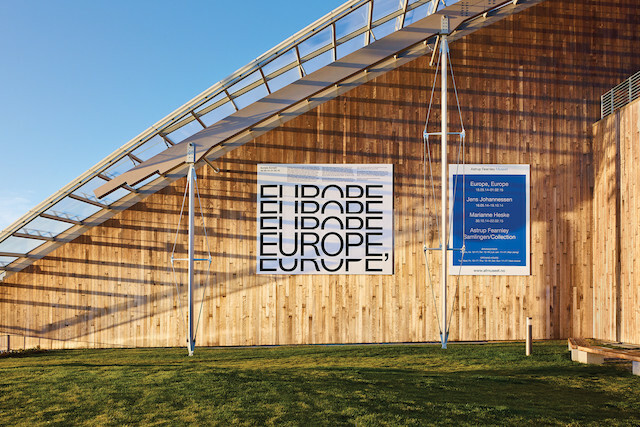 OSLO — We have designed the identity and accompanying print and promotional materials for the exhibition Europe, Europe at the Astrup Fearnley Museet. The design refers to the multiplicity of identities that exist within Europe. Curated by Hans Ulrich Obrist, Thomas Boutoux and Gunnar B. Kvaran, the exhibition brings together over 30 young artists from eight European cities: Berlin, Brussels, Paris, London, Zurich, Prague, Lisbon and Oslo.